Mary Cain was a daughter of Christina Naranjo and a granddaughter of SaraFina Tafoya. 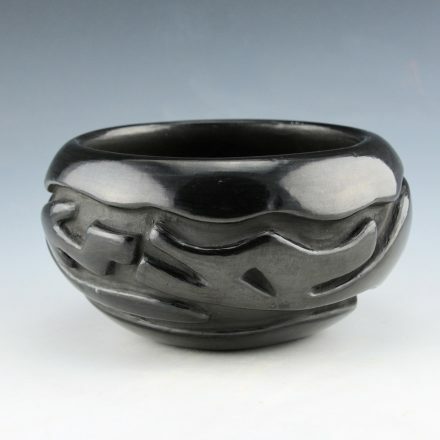 She was known for her classic style carved and polished Santa Clara pottery. 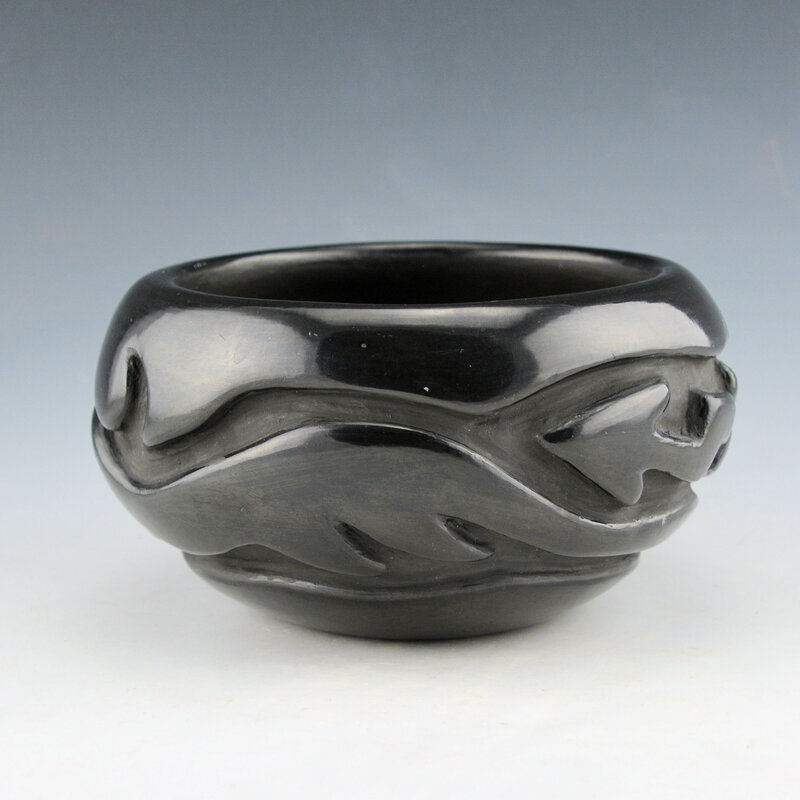 This bowl is carved with a water serpent (avanyu) encircling the piece. The body of the avanyu consists of cloud and rain designs. 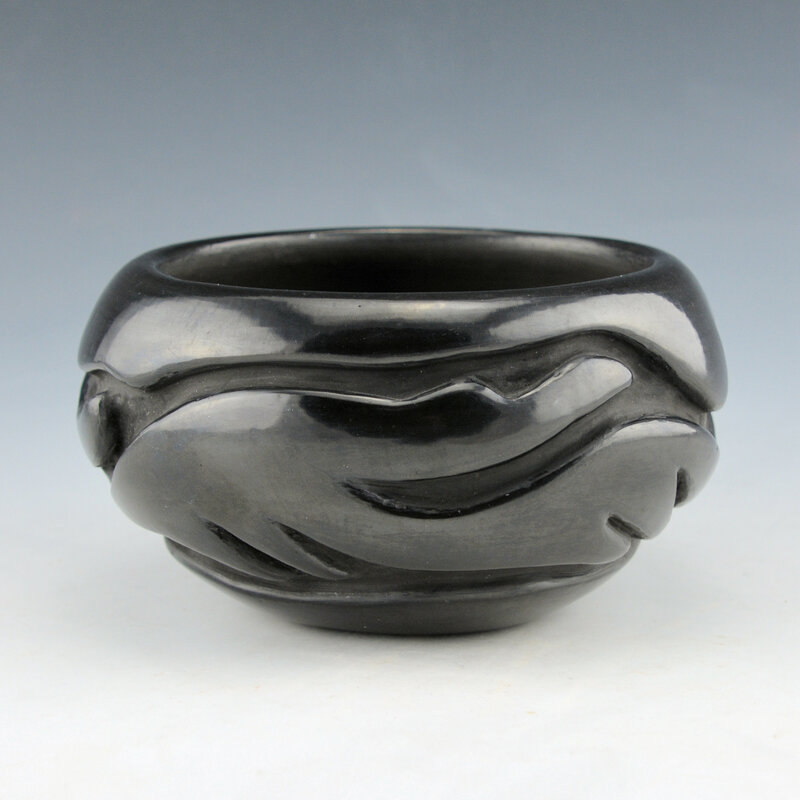 The bowl is highly polished and fired a dark black. 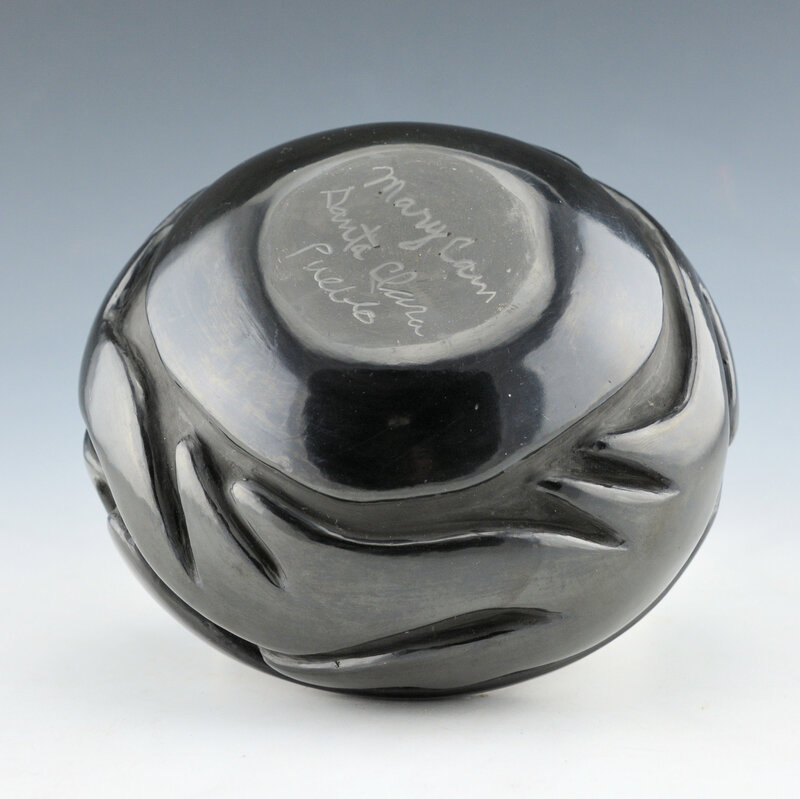 It is signed on the bottom, “Mary Cain”. It is in very good condition with no chips, cracks, restoration or repair.